British Airways will be the launch customer for Inmarsat’s in-flight passenger broadband service. Inmarsat already provides its SwiftBroadband service through partner OnAir to travellers on BA’s business class-only service between London City Airport and New York's JFK. It will now expand its offering to include domestic and short-haul European flights. Talks between the two firms are at an advanced stage, Inmarsat said as it unveiled its plan, which will be the first of its kind in Europe. 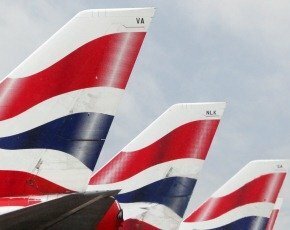 “We will work hard with BA to position it in the vanguard of the coming revolution in aviation passenger connectivity in Europe,” said Inmarsat CEO Rupert Pearce. Pearce said the existing SwiftBroadband service had been very well received by passengers using the transatlantic service, which is operated by Airbus A318 aircraft and includes a stopover in Ireland to clear US customs, which means it arrives in New York as a domestic flight. “We are really happy to build on that early relationship with BA,” he added. BA's head of product and service, Kate Thornton, confirmed the talks and said: “British Airways is in discussions with Inmarsat about leading Europe in a new era of broadband in the air. Inmarsat's Pearce said billing services would be handled through one of two models, depending on airline preference, allowing either the airline or service provider to own the customer relationship. Inmarsat’s new service will be delivered across an integrated satellite - air-to-ground network over 30MHz of S-band, with a new satellite named Europasat to be built by Thales Alenia Space and scheduled for launch in 2016. Inmarsat will share the space hardware costs with Hellas-Sat. The new network will also integrate with Inmarsat’s existing Global Xpress aviation service, so long-haul flights entering and leaving Europe would, in theory, be able to offer seamless connectivity. Pearce said Inmarsat had decided to roll out a European network following the success of a similar project in North America, run by a company called Gogo, which has already triggered telco AT&T's construction of a competing network. He said the average annual revenue per aircraft could be approaching $100,000. Universities and science minister David Willetts said: “Today’s announcement is an important investment in new infrastructure that will promote productivity and growth in the UK and across Europe.